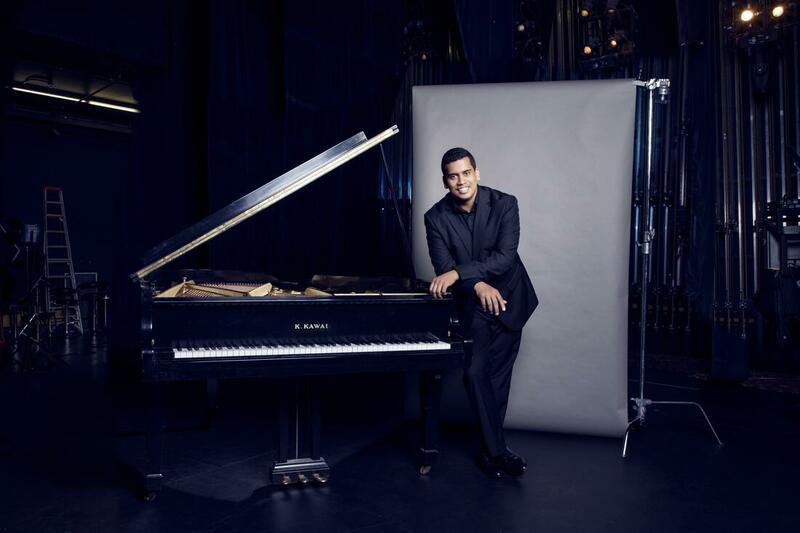 Megan-Geoffrey Prins is an internationally acclaimed South African concert pianist. Praised for his technical prowess, imaginative interpretation, and keen sensitivity, Prins is fast making his mark on the world of virtuoso pianism. For more information, read his bio, listen to his music, or contact him online. Megan was named the 2019 Standard Bank Young Artist for Music. This is among the highest honours an artist can receive in South Africa. The award includes a cash incentive, concert engagements, and two headline acts at the National Arts Festival in 2019. Prins has been selected as one of ten semifinalists in the prestigious Honens International Piano Competition, which will take place in Calgary, Canada later this year. More information is available on the Honens website. Megan was crowned the overall winner of the Western Art Music category in the 2017 SAMRO Overseas Scholarship Competition. Thanks to the generosity of private donors and the Fynbos Trust, Megan's tuition fees for his final year of doctoral study are now secured. He has also received various other donations that will contribute to covering his living expenses in the USA. The fundraising campaign on this website will remain active until he has raised enough money for living expenses. On Tuesday 11 July, Martelize Brink interviewed Megan on RSG. A recording of the Afrikaans interview is available here. CIM awards Megan a prize for "Uncommon Creativity"
The Cleveland Institute of Music recently awarded Megan the Maurice and Judith Kaplow Prize for Uncommon Creativity. Megan expressed his gratitude to CIM and the patrons: "I'm so honoured to receive this award from the Cleveland Institute of Music. It is very encouraging and it has motivated me to work even harder. I'm grateful to Maurice and Judith Kaplow for making this possible." On Sunday May 5th, Megan will perform Sergei Lyapunov's 12 Transcendental Etudes as part of his second DMA recital. Lyapunov (1859-1924) composed the etudes as a homage to Franz Liszt who also published a well-known set of 12 transcendental etudes. The concert will take place at 4PM in Mixon Hall at the Cleveland Institute of Music.